(Springfield, IL) – March 18, 2010. The Illinois Senate last night unanimously approved a bill that would enable the Illinois Department of Children and Family Services to capture an additional $17 million from the federal government to help pay for Illinois foster children care. 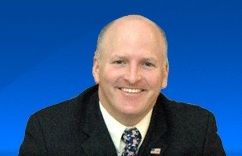 The Senate backed the legislation, Senate Bill 3420, sponsored by State Senator Dan Kotowski (D-Park Ridge) by a 56-0 vote. The legislation now moves to the Illinois House where State Rep. Joe Lyons (D-Chicago) is the sponsor. (Springfield, IL) – March 4, 2010. A Senate legislative panel today unanimously approved a bill that would enable the Illinois Department of Children and Family Services to capture an additional $17 million from the federal government to help pay for Illinois foster children care. The Illinois Senate Human Services Committee backed legislation, Senate Bill 3420, sponsored by State Senator Dan Kotowski (D-Park Ridge) by a 8-0 vote. In addition to Kotowski, the committee members backing the bill include Senators: Mattie Hunter (D), Deanna Demuzio (D), William Delgado (D), Heather Steans (D), Dave Syverson (R), Dave Syverson (R), Dan Duffy (R), and Dale Risinger (R). The legislation now faces consideration by the full Senate. (Springfield, IL) – March 1, 2010. An Senate legislative panel on Tuesday will likely consider a bill that would enable the Illinois Department of Children and Family Services to capture an additional $17 million from the federal government to help pay for Illinois foster children care. The Illinois Senate Human Services Committee is scheduled to address legislation, Senate Bill 3420, sponsored by State Senator Dan Kotowski (D-Park Ridge), a member of the committee, on Tuesday, March 2. “Due to the current economic crisis, the DCFS fund that pays for care of abused and neglected children can no longer generate enough money to sustain current spending,” said Marge Berglind, President of Child Care Association of Illinois. In addition to Kotowski, the committee members include Senators: Mattie Hunter (D), Deanna Demuzio (D), William Delgado (D), Heather Steans (D), Dave Syverson (R), Dave Syverson (R), Dan Duffy (R), and Dale Risinger (R).